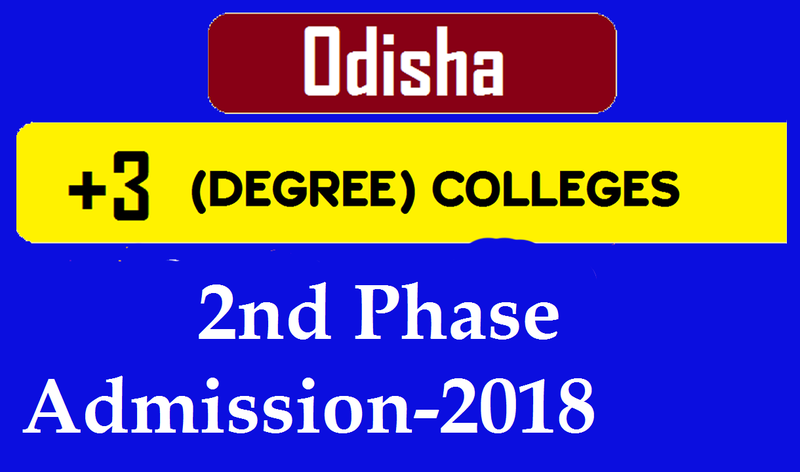 SAMS Odisha +3 Degree 2nd Phase Admission 2018: SAMS Odisha starts +3 Degree 2nd Phase admission 2018 for who are not taking admission Odisha +3 Degree Colleges on the 1st phase admission process. The Odisha +3 2nd Phase Admission 2018 for +3 Colleges in Odisha will starts from 30 July 2018 through offline mode. In the 2nd phase of the admission process, the seats lying vacant in +3 Degree/ Autonomous Colleges (1st year) shall be filled up through offline mode. And candidates who want to take admission +3 Degree colleges in Odisha they can apply offline from 30th July 2018 to 3rd August 2018. The candidates can apply only offline mode at the college level and selection will be made at the college level. The candidates who are passed Instant Examination 2018 conducted by CHSE (O) can apply in the 2nd phase admission process. The candidates who could not be able to apply during the 1st phase +3 Degree e-admission 2018 period i.e. 12/06/2018 to 24/07/2018 due to any reasons, they can apply. The Candidate had applied earlier during 1st phase admission process but not got any seat, they can also apply. The candidate who is selected but could not take admission +3 Degree Colleges in Odisha due to any reasons. The candidates who have already taken admission in 1st phase admission period but want to switch over to other colleges. 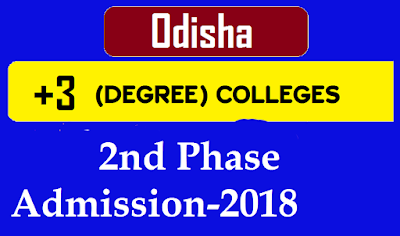 In this way, the candidates can apply for +3 Degree colleges in Odisha in the 2nd phase admission process. If you like this post very much please share this post to your friends and relatives and also you can join with us in social media.